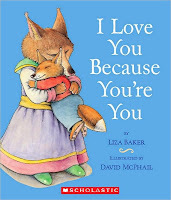 This is a wonderful little board book for young children in your life. It is the story of a young fox and his mother. It is a story of affirmation and love. 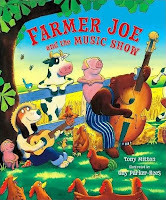 Wonderfully illustrated and charmingly told, this is a story that all young children will appreciate. It reminds us of the need to constantly be affirming and instilling in our children the fact that they are loved. Dirkle Smat belongs to a club of Explorers in One Oak Bay, but now after a huge storm, the lone Oak has blown over. While investigating the wreckage from the storm the explorers club discovers an old rusted box in the roots of the tree. They take the box back to their club house and in it they find a letter and a treasure map. That's when the big adventure begins. 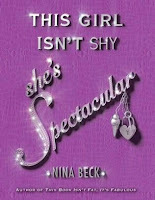 This book is geared for early readers ages 5-10. I would say it is more suited for 4-8, but it is a fun story and well written and illustrated. It's part of a series so if you and your children enjoy it you could also read Dirkle Smat Inside Mount Flatbottom and Dirkle Smat and the Flying Statue. A friend picked this up for our children. 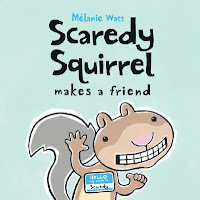 It is a great little book, and part of the Scaredy Squirrel series. Scaredy is a little neurotic, and maybe obsessive compulsive. Scaredy is afraid to have any friends because he is afraid of being bitten. So he spends his time alone reading, whistling, doing crafts, knitting and more. Then one day he spots a goldfish in the fountain in the park. The gold fish would make a perfect friend - he's clean, bubbly, quiet and has no teeth. So Scaredy makes a list of all he needs to go and meet the perfect friend: lemon for lemonade, name tag, air freshener, mirror, mittens, toothbrush, comb and candy. Once he is ready he heads out to introduce himself to the goldfish. He creates a perfect plan for how to get to the goldfish with the least exposure. But all that goes awry when he runs into a dog. Then his first big adventure begins. This is a neat little story for children. It is a pity that Scaredy cannot meet Elliot and his gang from Elliot's Park. I'm sure they would have a great adventure. 1. The Learner is primarily involved with the people of the neighbourhood in a normal context. 1. The student is primarily involved with books and studies of the course - an isolated study context. 2. The Learner revels in the immersion of the real-life experience. 2. The student is fearful of immersion - lots of land drills. 3. The Leaner learns the language and the very process is a means of communicating interest and care for people. 3. The student studies the language in hopes of preparing to someday be able to communicate with the people. 4. The Leaner's goal is to know the people. 4. The student's goal is usually to learner the language. 5. The Learner attitude enables one to implement a strategy that will communicate a love for people. 5. The student attitude often results in a strategy of comfortable isolation…with a few little forays. 6. The Learner values the cultural knowledge of the people. When sensitively understood, God may use that knowledge redemptively, as a bridge to Himself. 6. For the student, the cultural knowledge may be viewed as a barrier in a way of accomplishing ministry goals. 7. The Learner decides for himself / herself what he / she will do next. 7. Others decide what the student will do next. 8. The Learner learns because of personal wants and needs. 8. The student's learning often becomes oriented to passing an exam or course. 9. The Learner gets a natural feel for the grammar by normal use, deducing patterns by observation and hypothesis testing. 9. The student is taught the grammar by means of technical terms and memorization or rules. 10. The Learner uses deductions to generate new sentences and to prepare practice exercises. 10. The student memorizes rules about how to generate new sentences. 11. The Learner 'learns' the language in order to use it. 11. The student 'studies' the language in order to 'know' it. 12. The Learner writes his/her own course as s/he goes along. 12. The student is provided with a grammar book and textbooks. 13. The Learner's lessons are 'messy', with lots of residue; s/he has to tolerate some ambiguity along the way. 13. For the student, each lesson is thoroughly explained, and is drilled in all it's parts. 14. The Learner bites off only as much as s/he can chew each day, and tries to use (a lot!) of the new things that are learned. 14. The student is exposed to a lot of material, but doesn't have the time or energy to master it. 15. The Learner's texts are 'here & now' content, oriented to current communication needs & opportunities. 15. The dialogues the student learn are 'then & there' content, oriented to the needs of the curriculum. 16. The Learner is relationship-focused. 16. The student is task-focused. 17. The student almost always is. 18. The Learner uses the Learning Cycle. 18. The student probably doesn't. 19. The Learner compares progress only with themselves. 19. The student compares personal progress with others in class. 20. The Learner has fun. 20. The Student asks how much fun is it? "It's Very Important to understand the difference between dreams and goals. Dreams are things we wish for--things you enjoy thinking about but don't really know when they'll happen. Goals, on the other hand, are specific things you have decided you need to accomplish within a clearly defined period of time." Michael L. Davenport Editor in Chief at Imprint had this fantastic Column last week. reposted here with permission. Welcome to the University of Waterloo. Now, why are you here? Really, why are you here? I'm asking because there are several, several bad reasons to come to UW. Because you didn't know what to do after high school, and everyone else was going to university. Because your parents wanted you to major in CS. To put my question into context, let me tell you a little bit about myself. I am Michael L. Davenport, and I am the editor-in-chief of this newspaper. Seven years ago I was a froshling, just like many of you. Larvae of a university student. I was coming out of high school with a 94 per cent average. On top of school, I did pretty much every extra-curricular activity under the sun: band, yearbook, students council, sports teams here and there — the works. That, and I had worked a part time job for the last three years. I'm not telling you this to brag. I'm telling you this so you fully understand what I am about to say. Fast forward six years, to the fall of 2008. I was in a strange state of limbo — I hadn't quite failed out of school, but I hadn't graduated yet either, despite my starting class being long gone. I was taking time off from studies to work, build my finances back up. I managed to get a job at a local factory which assembles smartphones. I would sit in a room for 12 hours a day, and inspect little bits of plastic in silence. In silence. Sitting in silence gave me a lot of uncomfortable time with myself. Though my hands and eyes were occupied, my mind was free. And, as I sat in that room inspecting bits of plastic, my mind was overwhelmingly occupied with one thought: "How the hell did I end up here?" Working three or four 12 hour shifts every week, I had more than enough time to meticulously examine the possibilities. It wasn't because I hadn't yet graduated, because (take note!) several peers who had actually graduated ended up in the exact same spot. It crossed my mind that I might be stupid, or unlikable, or incompetent, but I dismissed those theories because I had more evidence against them than for them. Eventually, I realized what the problem was. Goals are very important, and I hadn't realized that. High school is like a game on rails, or a choose your own adventure novel: there are a finite number of choices to be made. All I had done was choose what I liked doing best for each moment, for every opportunity that presented itself. Did I prefer music class to French? Yes. Did I want to learn AutoCAD, or take a spare? AutoCAD. That was the extent of the choices I had to make. Worse yet, I didn't even choose any extracurriculars because, as I've already said, I did them all. University is nothing like high school. There are opportunities in university far beyond your ability to "do it all" as before. But opportunities will go un-sought, or underutilized without goals to guide you. And even if you do make it through and out of university withoutany goals, what then? I was in that factory for six months, and before things got unbearable, I was prepared to be there for a lot longer. I nearly metaphorically died in there. Nearly. Others aren't so lucky to escape — it is too easy to drift through life, get caught in a mediocre job, and realize too soon you've spent the majority of your life doing nothing of importance to you whatsoever. To recap: I went from being popular and successful and "going somewhere" in high school to a nobody working for close to minimum wage. All because I hadn't thought about my goals. This is my editorial. While it's not an advice column, advice will nonetheless sometimes spill out. Here is an important piece of advice I’ll give you: have goals. Have all sorts of wonderful goals. Think about what you want to do today before you sleep. Think about what you want to do before you die. And everything in between. Make a goal of reading assignments the day you get them. Make a goal of writing a book, or having your own practice, or having a physical constant named after you. Make a goal of having a drink with someone beautiful this month. Sometimes you will fail. Sometimes you will change your mind. Both of these are okay, so long as you continue to create goals, and make sure you're always going somewhere you want to be. Throughout most of my adult life I have strived to find balance - balance between body, mind and spirit and balance between work, school and play. That balance has often been elusive, yet something I ever strive to achieve. Consequently, for the time being this will be the last installment in Confessions of a Bibliophile. As such, I wanted to leave you with a series of snap-shot mini reviews of some of my favorite books that I frequently reference to help me achieve some level of that equilibrium in life. This first book in a trilogy is a fantastic collection of stories, thoughts, penses and ideas in the great Jewish wisdom tradition. Jacob is a simple baker, and each day on his way to the bakery after his prayers he thinks and reflects on God and life. While the ovens are warming up, he jots down his thoughts on scraps of paper, and then at the end of the day takes them home to organize them. Then by accident, or by fate, one of his scraps gets baked into a loaf of bread. The lady who finds it is overwhelmed by its insight and wisdom. She asked the owner of the bakery if Jacob will share more of his ideas by baking one in each of some rolls for a dinner party for her. Reluctantly, Jacob agrees and his peaceful life is shattered. Soon Jacob has no time for himself. When he goes home people are awaiting him; in the morning they are on the path to work; and every day they are in the bakery, asking him questions, seeking advice and wisdom. They soon desire to make Jacob their Tzadik, their wise man. These stories will warm your heart, and open your eyes to the divine in yourself and in others. It will teach you to live with love and to extend grace and mercy towards others. Separate reviews: Jacob the Baker, Jacob's Journey and Jacob's Ladder. This book looks at the history of humankind on this planet and all we have done to it. It will challenge the prevailing belief that more and bigger is better. The book begins with an ad in the paper "TEACHER seeks pupil. Must have earnest desire to save the world. Apply in Person." In the book, the gorilla Ishmael has learned to communicate through thought with humans. He also has a message that we cannot afford not to hear. The book focuses around a series of conversations between Ishmael and his student. It presents a different interpretation of how we went from being a hunter-gatherer society to an agrarian one, and also how that system is bound to fail. For me the most haunting thing in the book is two quotes. Early on we see a poster that states: "WITH MAN GONE, WILL THERE BE HOPE FOR GORILLA?" and much later, on the back of the first poster, "WITH GORILLA GONE, WILL THERE BE HOPE FOR MAN?" This is also the first in a trilogy. The rest of the books are: My Ishmael, The Story of B and a collect of short stories called Tales of Adam. 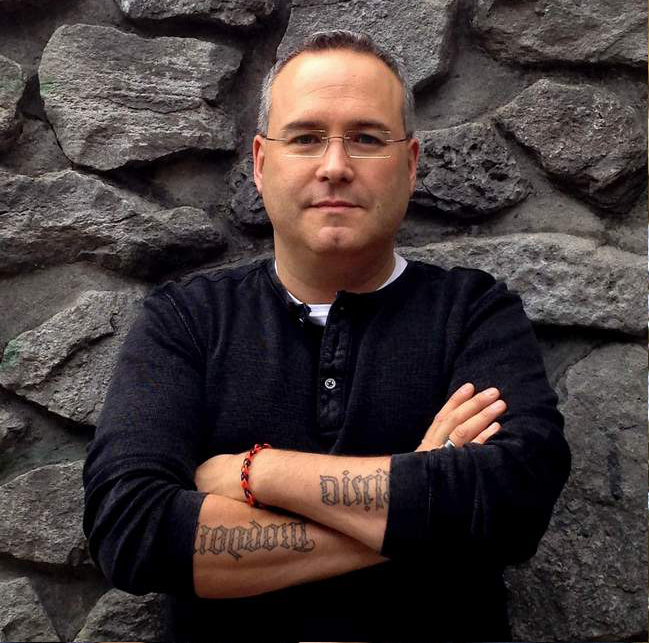 What do you get when a skinhead body builder and an aging author meet by chance at the gym? In Benchpress you get a life being transformed. This book begins with a quote from Marcus Aurelius: "Does transformation frighten you? Yet what can happen without transformation? Can you yourself take a hot bath without the wood being transformed, can you nourish yourself without the food being transformed? Do you not then see that your own transformation is equally necessary? ", and this book will change you. As I read it, my own childhood dreams and aspirations, long put away, were awakened. This book is broken up into 85 penses or thoughts. Some are the personal reflections of the author, some of history, and tidbits of information fun and bizarre, and a few are visions that Sven has along his journey. It is also the first in a trilogy. The last chapters of the first two are the first chapter of the next. They are Desert Divers, a journey into the desert to see childhood dreams, and Exterminate All the Brutes, a history of genocides in Africa committed by Europeans and leading up to the great genocide of the Nazi reign. For full review click here. For many years Millman's books have been among my favorites. This is a first in a Trilogy that includes Sacred Journey of the Peaceful Warrior and The Journey of Socrates. Millman himself went though an incredible story, from injury back to Olympic athlete and from those events has created a series of books to help bring out the best in other people. This book far exceeds the recent film of the same name. Any of Millman's books are great tools for personal growth. This is an updated and expanded edition of the great book Mother Macrina that was published by Novalis press in 2000. This version has nearly twice as many stories and bits of wisdom to pass on to the earnest reader. About the original edition I wrote: "This is the first of Zaleski's books that I found. It is a collection of penses - thoughts and meditations from a woman who will remind you of the desert mothers of old." I also wrote a profile of all of Zaleski's books here. This is the interesting story of a lawyer who appears to have it all - the corner office, the life style, the cars, women … then he gives it all up and tours the East. While there he comes across this strange monk and monastery. He comes to live life in a much different way. Yet he is challenged by the monk who has trained him to go back home and share the message he has learned with the West. Julian, our main character, returns to his old law firm and to his protégé John. He tells him a parable; then the rest of the book explains the parable and how it relates to different aspects of our lives. The parable is rather simple and a little strange but as it is explained you will never forget it. Read it to find out how a garden, lighthouse, sumo wrestler, pink wire cable, stopwatch, roses and a winding path of diamonds are symbols of timeless principles and virtues by which to live your life. This book could help raise the quality of your life to a new level. This is an amazing book. It is a story of a young man who has a dream of hidden treasure. It is a book that alludes to that fact that all of us have a purpose and a dream. Yet many settle and give up their dream, and lose their passion for life. In this book it is stated again and again that each of us has our own Personal Legend, a quest: "When you pursue your personal legend the universe will conspire with you to make it happen." You will follow Santiago on his adventure and during the process be challenged to think about your goals and dreams and what you would have to do to pursue them. By simply reading a chapter a week, at most 12 pages, you will learn tricks and techniques to help you learn how to do school better. This book takes the 80/20 principle and applies it to academics. Each of these books could bring something new into your life. They are also easy enough to read you could add them in with your school work without too much effort. If you want to see more of my reviews and literary ramblings please stop by my blog www.bookreviewsandmore.ca and maybe we will meet between the covers again. I have been an undergraduate student for over 20 years now. In that time my weight has been up and down a few times and with it my overall health. The last time I lost serious weight was shortly after starting here at UW. At that time I was just past 30 and in the worst shape of my life. I started slowly, with an exercise bike and riding 10 minutes a day; in under a year I was up to riding it 2 hours every day. Then I did Body for Life based on the book by Bill Philips. I went from 22.9% body fat to 11.9% in twelve weeks. Now it is 9 years later and I am in worse shape than ever before. I gained some weight after getting married and stopped working out as much, and then 4 years ago I tore my rotator cuff and spent 3 years off work, had a year of physiotherapy, surgery, and then another year of physiotherapy. Over the last number of years I have read many books on health and fitness and though I learned a lot from them, I never seemed able to put anything into practice consistently. I tried doing Body for Life again. I tried some of the programs from Sylvester Stallone's Sly Moves. But nothing I tried seemed to last. Then a few months ago I was at the park with my kids. I saw some fathers struggling to keep up with their children, and while I was not there yet, I could see it would not be long before I would be in that shape. I am going to be 40 in less than 6 months and realized I needed to make drastic changes in my life. A friend at work has a fitness program he had bought and was not using - P90X from beachbody.com. It was one of those infomercial products, but it seemed intriguing. The program can be done in three ways - classic, lean or doubles. Classic is traditional work outs, lean is done to tone up more and doubles is for those already really fit wanting to push it to the limit. The host of the series is fitness guru Tony Horton, who has been bringing fitness programs to us for over 20 years. He is fun, quirky and intense. The videos are fun enough that you want to keep working out, and intense enough that you can start to see results very quickly. The second part of the program is nutrition. There are two ways to do the food - calculate what you need and then do a meal plan from their food lists and recopies or do a portion plan and do your own meals. I chose the portion plan and the classic P909X schedule. I pitched this three part series while I was in my first week of the program. In part I wanted the extra motivation to stick to it, in part writing about the program and results could help other students think about becoming healthier and living more balanced lives while in school and keeping that balance as they graduate and move on to the next phase of their life. There is a lot of support on the beachbody.com website. You can track your workouts, plan your food, use member forums, and chat rooms to communicate with others and get tips and help throughout your fitness journey. My results in Phase 1 were well beyond my expectations - see chart for complete details. But in summary I have gone from 34.7% body fat to 21.4 in 28 days. My resting heart rate has dropped by 10 beats per minute. I have reached 7 of 13 goals for the fitness test and 7 of 14 for measurements. Phase 2 will end on September 21st. The next piece in this series will run the week after that. Over all I cannot believe my results so far. The workouts are a big commitment from between 50 minutes to 90 minutes a day, 6 days a week with an optional stretching routine on the 7th day. The follow-up pieces will run on September 25th and October 30th. 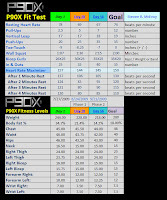 Check back to see what transformation can take place with P90X. 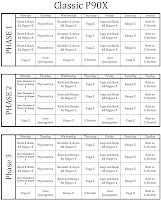 There are dozens of 12 week programs out there; this is just the one that came my way when I was looking to make changes, and based on the results from Phase 1, I am really glad it did. I feel better than I have in years, I have more energy, my sleep is more restful, and overall I am much healthier in just the first 28 days. In book 1, 100 Cupboards, N.D. Wilson wove a fascinating story about a boy named Henry, visiting family in Henry Kansas. And if The Wizard of Oz has taught us anything it's that things that start in Kansas can get very strange. Continuing right from the previous book, the story picks up the pace and races on. Henry must find out what he is really made of. After being touched by the magic life of a Dandelion, things for Henry change even more than he ever expected. He travels back and forth between Kansas, an unknown land, and some of the worlds from the cupboards. He meets fairies, wizards, friends and foes along the way. He travels to the central fairy mound, and even finds out who he really is. There are battles and adventures galore in this book. The story follows Henry, his cousin and her family, as all three are separately making their way to the same location for a climactic battle between good and evil. Wizards turn against wizards, fairies revolt against the general counsel, and brothers thought long lost return to stand and fight shoulder to shoulder. This story is full of magic, myths, mysteries and mayhem. It is a grand adventure across worlds and spanning generations. It is a story incredibly well written and masterfully told. 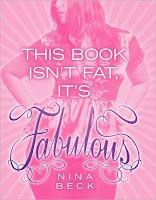 The pacing is excellent, the characters real and believable. N.D. Wilson is on his way to becoming a master story teller. One day his name may be ranked with Lewis, Tolkien, Kipling and others. This is a great series, it does an amazing job of capturing the experience of living and growing up with learning disabilities. Henry Winkler admits that he himself has a form of dyslexia. However this is the second book with a glaring continuity error, and it is beginning to bother me. In Book 10 My Dog's a Scaredy-Cat: A Halloween Tail it states that Hank never got above C's he says that his "grades have only ever traveled to C-ville and parts south". In this book on p.3 Hank states that "A C-Minus was a step up for me. I usually live in D-Ville." Yet in book 8 Summer School? What Genius Thought That Up? He got an A+ on his oral presentation. There is also a second incident in this book whwre he states he never got A's. The continuity error being missed a second time by editors and proof readers is disappointing. However setting that aside this is another wonderful adventure for Hank and his friends at PS 87(Public School 87). 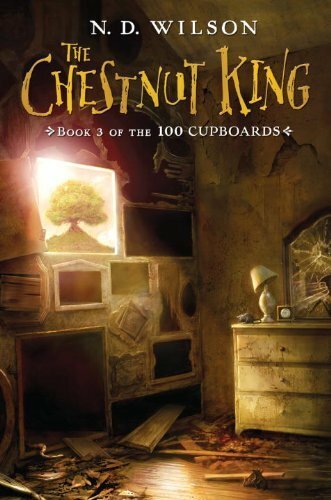 In this story Hank wants' to try out for the role of the King of Siam, in the school's adaptation of the play Anna and the King, but he has just flunked a math test and started peer tutoring. His father only allows him to try out for the play if he agrees he will get a B+ on his next math test. If he does not achieve this mark and has got a spot in the play, he will have to drop out. As we can tell from the title it sounds like he made it but how many trials does he have to overcome to make it. Follow Hank as he get's to know Heather Payne as both a peer tutor and friend, and maybe Hank can teach Heather a thing or two, read and find out.